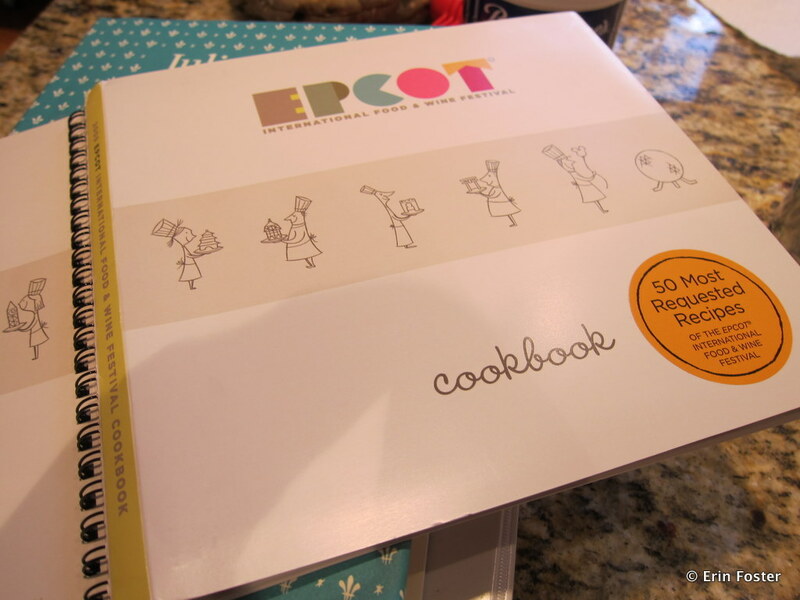 Erin Foster is the Disney Food for Families columnist and a behind-the-scenes guru here at Disney Food Blog! Check out more of her posts here. 2011 was a pretty great Disney year for my family. We all made multiple trips to Walt Disney World, traveling as a whole family, in several smaller groups, and with friends. We also took an incredible combination Adventures by Disney and Disney Cruise Line trip to Europe over the summer. And I made a special trip to Epcot’s Food and Wine Festival with just my daughter Josie. This was her first F&W experience and our first mommy/daughter solo trip. When looking for a way to commemorate and wrap up this year of awesome Disney experiences, of course our minds turned to food. We came up with the idea to find and make the Disney recipe that best represented 2011 for us. 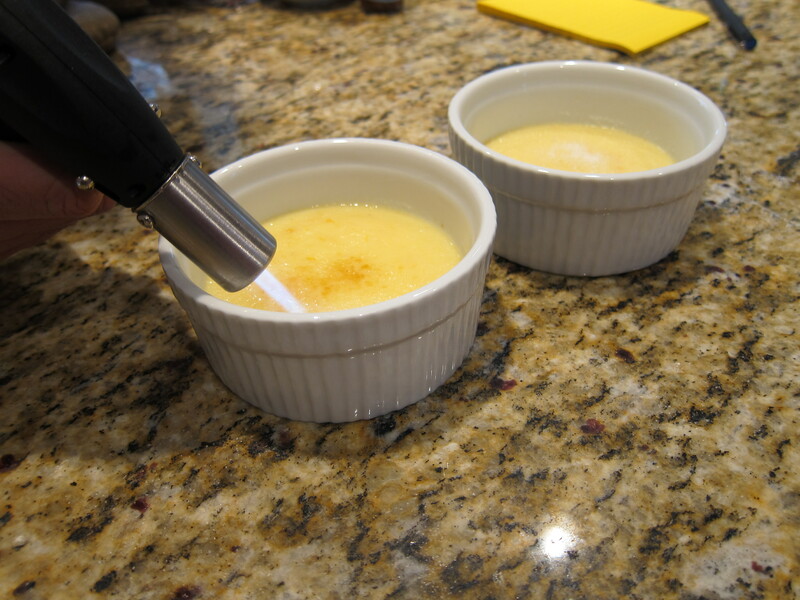 My girls flipped through our stash of Disney recipes and found a perfect choice: Crema Catalana! 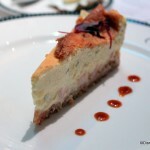 One of the Creme Catalan dishes we ate in Barcelona. 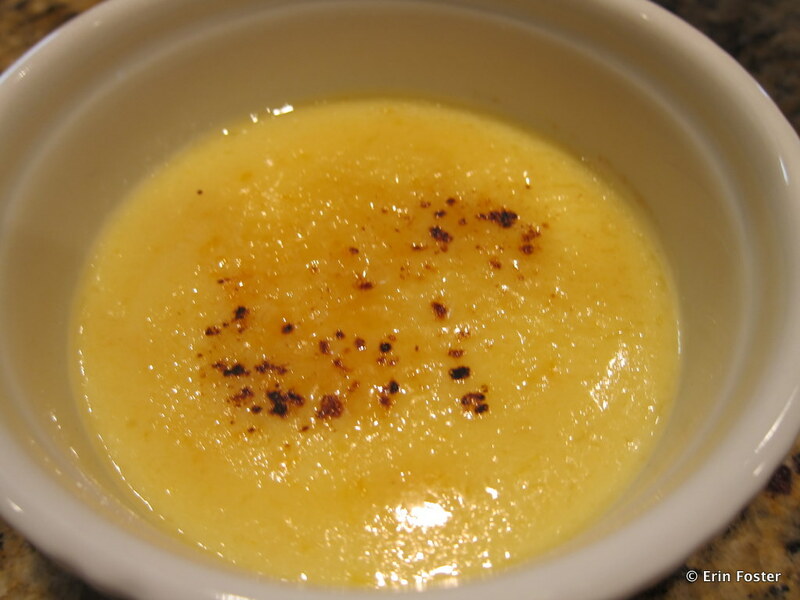 Crema Catalana is sort of like the Spanish version of creme brulee, and the recipe we chose came from the 2009 official Food & Wine festival cookbook. This dish scored on two fronts, first because of the Food and Wine Festival connection, and second because the longest portion of our summer Adventures by Disney trip took place in Barcelona, Spain, the birthplace of the dish. While we were in Barcelona, we had four different versions of this local signature dish. We were eager to see if we could replicate it at home. 7 tablespoons granulated sugar, divided. 1. 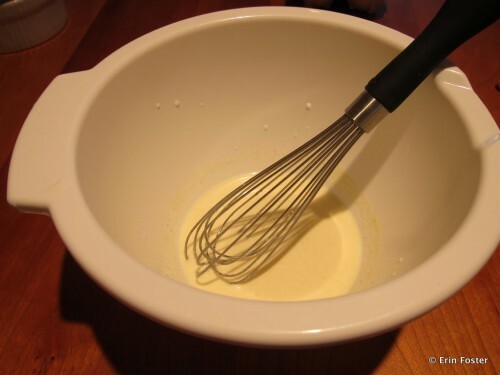 Whisk together the cornstarch and two tablespoons of milk in small bowl until the cornstarch is completely dissolved. 2. Whisk together the egg yolks, lemon peel and orange peel. Set aside. 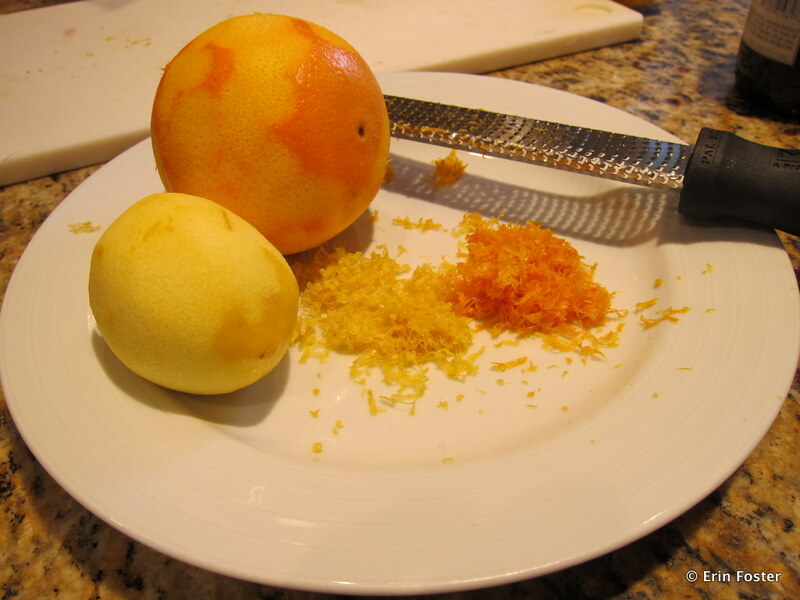 Grating orange and lemon peel. 3. 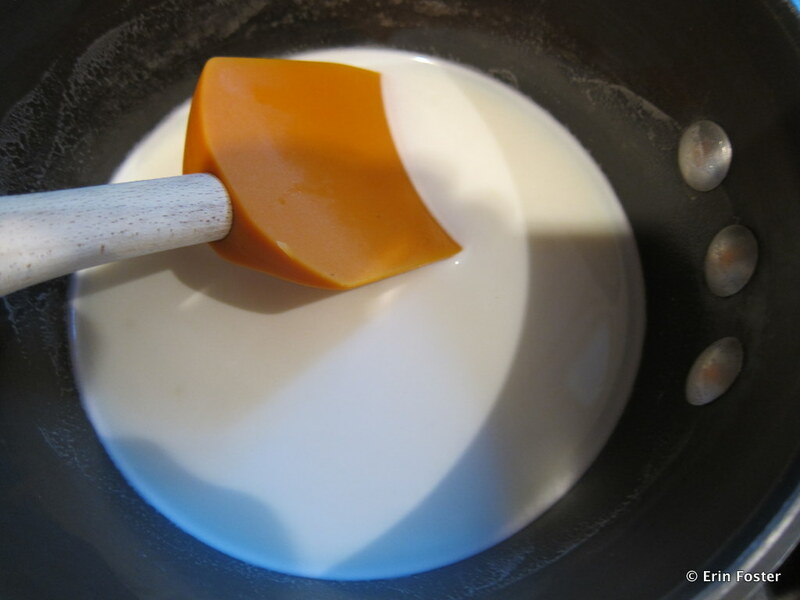 Stir together the remaining milk and six tablespoons of sugar in a heavy saucepan over medium heat. 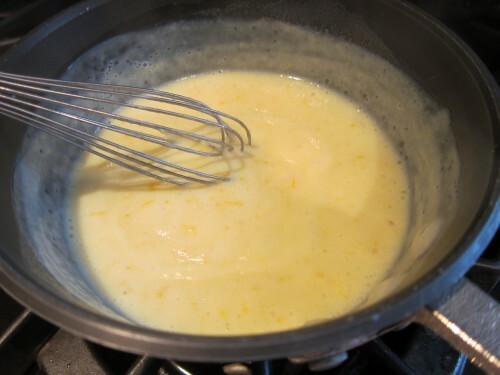 Stir constantly over high heat for 2 to 3 minutes, or until the mixture begins to boil. Whisk in the cornstarch/milk mixture and continue stirring for 3 to 5 minutes, or until the mixture starts to thicken and begins to bubble. Mix after it had warmed and thickened. 4. Pour into six ounce ramekins, dividing equally. 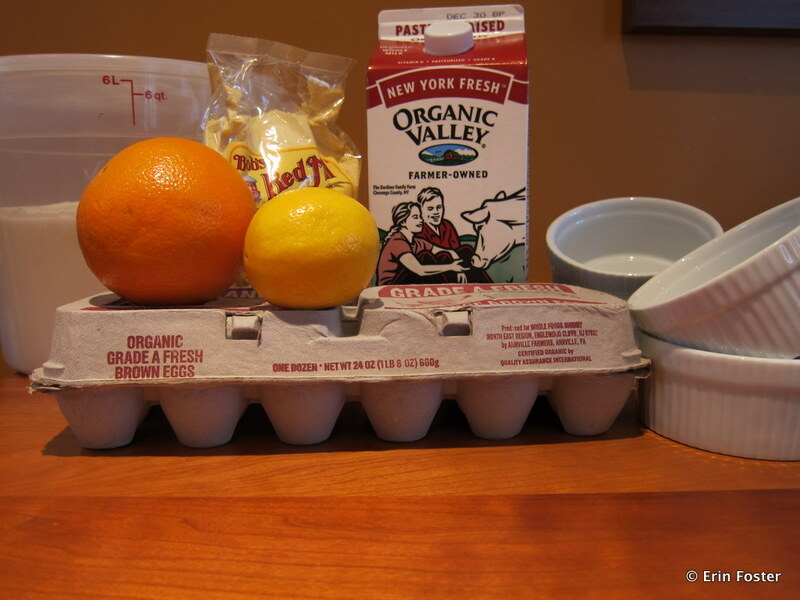 Allow mixture in ramekins to cool, then refrigerate overnight. 5. Preheat broiler. Sprinkle chilled ramekins with remaining tablespoon of sugar. We opted for the kitchen torch method of browning. 6. 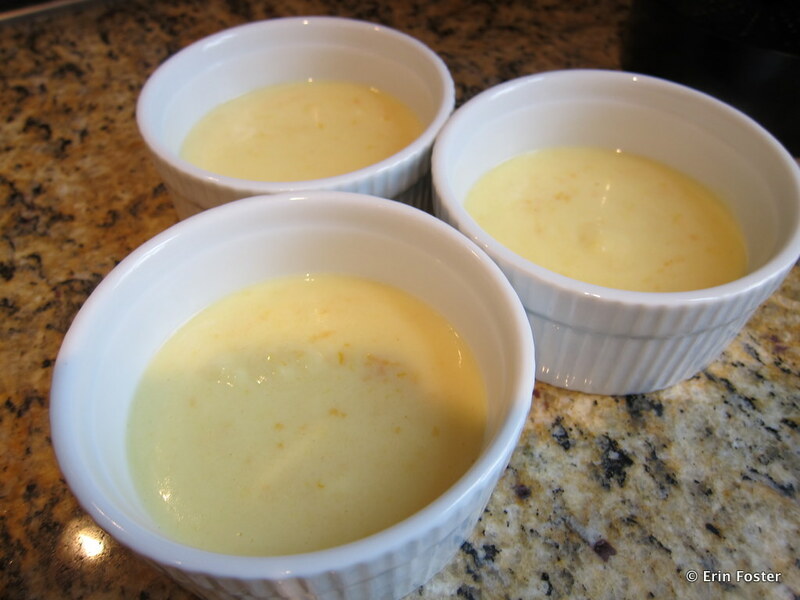 Place ramekins on a baking sheet and place under broiler for 2 to 3 minutes, or until the sugar bubbles and turns golden brown. 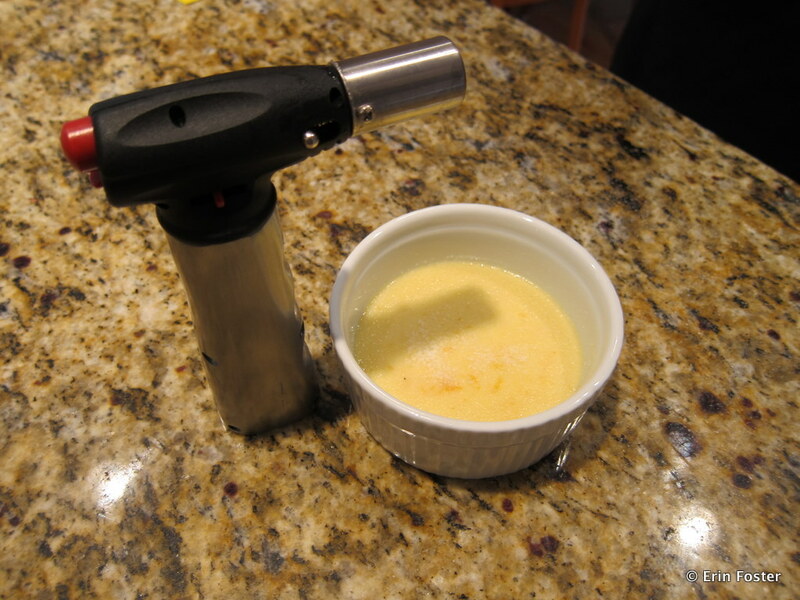 Alternatively, you may use a hand-held kitchen torch instead of the broiler to caramelize the sugar topping. In the process of caramelizing. 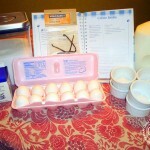 Overall, this recipe was quite easy. While there was the overnight chilling, the actual hands-on preparation time was less than half an hour. However, while the result was totally yum, it wasn’t much like any of the Crema Catalanas that we had in Spain. 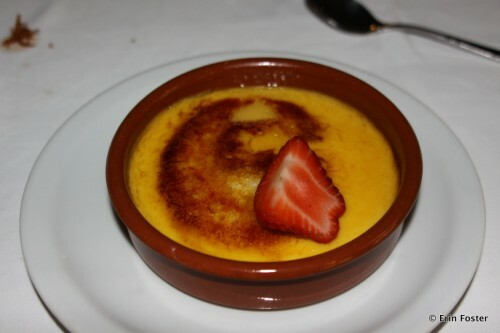 In Spain, the texture we encountered was fairly firm, more like a flan — creamy, but able to stand on its own. The at-home version was much more pudding-like, very much a citrusy creme brulee. Also, we found that the suggested amount of sugar to sprinkle on the chilled ramekins was insufficient to get a real caramel crust. We ended up adding a generous half teaspoon more on top of each dish before we could get torch to brown the pudding rather than just heat it (which was not the point at all). When we make this dish again, and we will make this dish again, I’ll experiment by adding slightly more cornstarch to get a denser texture. We’ll also know to add more sugar at the end. Oh, and I’ll likely double or triple the recipe because we all wanted MORE. This dish was the perfect complement to our past Disney year. I can’t wait to see what 2012 will bring! 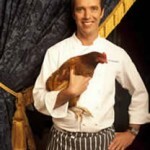 What Disney dish would you remember 2011 by? Let us know in the comments below! When did you add the eggs and lemon gratings? It doesn’t say in this recipe. Hi Theresa – See step #2 above. Excellent. Thanks for sharing. I hope mine comes out looking as good!! I think what Theresa means is when do you add the egg/zest mixture to the rest of the ingredients? 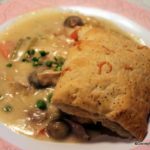 Is tempered in to the cooked milk or added with the cornstarch mixture? Step 2 says “Set aside” and never mentions the egg/zest mixture again. You are always the sage of the kitchen. You have your own dessert blow torch.